Before we get started, I'd like you to click the link below and read the opinion piece. It was written by a fourth grader JUST LIKE YOU! It should give you an idea of what an opinion piece is. An opinion piece encourages the reader to accept the writer's beliefs or opinions. Using the forums below, I'd like you to write your own persuasive essay. 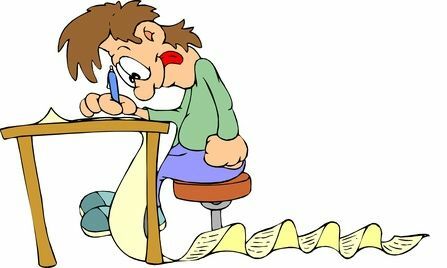 Objective: Write an organized and logical 130 word persuasive essay to explain your view and opinion on a given topic. 1) Choose one of the topics below to write about. 1.) Improve Your School: The local school committee is looking for ways to improve your school. The ideas will be discussed during meetings with students, teachers, parents, administrators and other interested parties. The changes proposed by students will be seriously considered since the students are the reason for the school's existence. Choose one change that might improve your school for all students. Write a persuasive essay explaining why your suggested change is an improvement. Give at least two reasons to support your suggestion. 2.) School Uniforms: Write a persuasive essay stating whether or not the students at your school should be required to wear uniforms to school. Give at least two reasons to support your position. Remember, you must argue in such a convincing way that others will agree with you. 3.) Censorship: Write a persuasive essay stating whether certain television programs that are considered to be unsuitable should be censored for children under 16 in your community. Give at least two reasons to support your position. 4.) Field Trips: In order to save money, your principal is thinking about canceling all field trips for the remainder of the year! Write a letter to your principal persuading him or her to allow students to continue attending field trips. Give at least two reasons to support your position. 5.) Litter: A litter problem has developed on your school's campus. Students are throwing trash on the ground, leaving empty soda cans and bottles outside, and dropping napkins or other trash on the floor in the cafeteria rather than carrying them to the trash can. Your principal has asked students to take more care, but the litter problem still persists. The principal has reacted by cancelling all after school activites and pizza parties. What is your position on this issue? Write a letter to your local newspaper stating your position and supporting it with two convincing reasons. 2) Print out this graphic organizer and fill it out. It will help you when developing your essay. Or, use this interactive plug-in/graphic organizer that will help you organize your thoughts. 3) After choosing your topic, create a post in the OFF-TOPIC forum below and place the title of your essay as the topic of your post. You will see MY post there already; use it as a guide to help you. 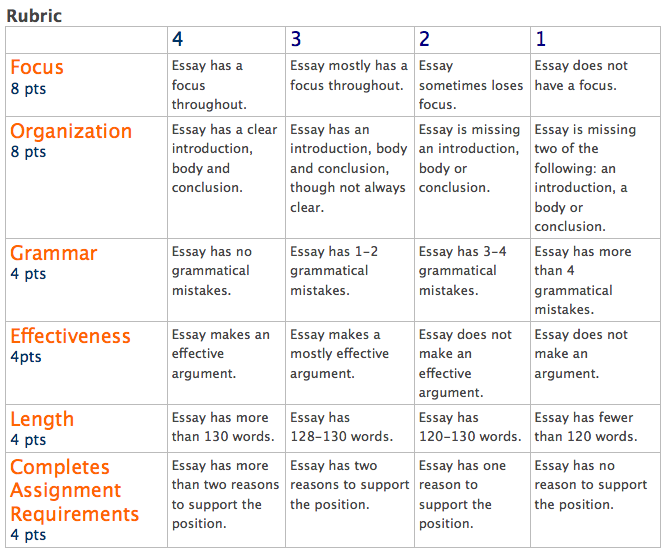 4) Remember to READ THE RUBRIC to help you complete your essay.